a compilation of Origins spells and tips, with additional information for Awakening. Earlier versions are either specialized, like Ako's excellent Ultimate Guide to Arcane Warriors , or outdated and incomplete, like the ubiqutous Valamir's Spell Guide. I have fond memories of Valamir's Spell Guide, which I used during early play of DA:O. But looking at it now is like listening to tales from a tipsy uncle. There's wisdom in there, but also a lot of deciphering to do. Still, Valamir's pops up first when you type "Dragon Age Spell Guide," and I'm warned that Google keeps a file on anyone who questions their judgment, so by all means, read it. Current through Patch 1.04 (included with the Ultimate Edition), partly tested with 1.05 beta. The fine folks of the Forum, combined with my own highly questionable suggestions. Where my opinions differ from the consensus, I'll say so and explain why. I gained this knowledge at high cost. Not to me, of course, but to a noble boy (Conrad? Conway? Conan? cute kid) with no decent outlet for his curiosity. There's a lesson in there somewhere. The DA Wiki isn't always complete (saying that Animate Dead, for instance, summons a minion 'for a short time' is misleading at best), but the spell info tends to be good. It has a good list of Spell Combos and of Enemy Resistances. Ako's Guide remains superb. The build variations, gear discussion, and spell descriptions are all first-rate. I won't reinvent that wheel, but I'll include this forum List of Spells that don't Sheath Weapons. In its spell descriptions, the Wiki also often includes sheathing information for Arcane Warriors, and it has a handy chart here. should know that the line is still generally viewed as weak, but a good counterargument, along with smart build recommendations, can be found in TBastian's Shapeshifter FAQ . Another decent guide, with more information on mechanics, can be found at Sorcerers.net Shapeshifters . Finally, there's video instruction in this thread. My take? Shapeshifting is viable if you enjoy it, and it offers a tanking alternative to mages with more controls than Arcane Warrior. But you really need the fourth talent for any of the forms to shine, making it a big investment for no greater return than other lines, and I've never liked surrending access to my spells. If you do want to try it, hang on to Ser Jory's greatsword, which has no Str requirement. The raised skeleton type depends not on the class you killed, but on the weapon it carries. A warrior clutching a 2H weapon won't yield a Shield tank. The tank is surprisingly good. Rogue skellys can pick locks at a very low ability. Only the first 2 tactics are used by the AI, even though it lists more. Some talents, like Shield Defense, are available ONLY through the tactics window and will not show on the quickbar. Mage spells are selected from half a dozen different templates, a healer being one of them. I also like the one with Glyph of Paralysis and the one with Winter's Grasp. You can save and reload to cycle through them when casting. Spell Might brings the skelly closer to your level but does not add additional abilities. You cannot (as of Patch 1.04) use a skelly for Blood Sacrifice, nor can you use it as a guided Walking Bomb. You can heal it. Next: GEAR, or How to Find a Robe Without Feather Boas. And STATS. Edited by CBGB, 24 November 2011 - 02:44 AM. You can play the game naked, though that would add unforseen humor to certain scenes (like the Landsmeet) and reduce the drama of others (like waking up in Fort Drakon). Your call. For the tradition-minded, you'll want stuff. And boy, does Dragon Age have a lot of it. More stuff than you can cram in a giant Armoire, more than would fit in that dusty basement below the Circle Tower. There are people starving in Denerim, right next to Crates overflowing with perfectly good Leather Helms. Leave the Leather Helm; you get a traffic cone. Ah, but which traffic cone? I'll answer that after addressing stat bonuses. Flat bonuses, like +2 to all attributes, have relatively greater value early on; going from 20 to 22 is a 10% boost, while 60 to 62 is a 3% improvement. +Magic and +Spellpower are both useful but will later be outclassed by % damage increase, when given the chance. That means if your playstyle relies heavily on cold spells, Wintersbreath may actually do more for you than Staff of the Magister Lord, otherwise among the best staves in the game. So rather than offering a list of 'best' gear, I'll list some of the notables. It can help to have two, of different damage types, to manage immunity. Staff of the Magister Lord, Final Reason, Wintersbreath and 'Winter's Breath' (very funny, Bio Ware), Heaven's Wrath, and Corrupted Magister's are all good, and all become kindling in Awakening, as surely as your Big Wheel got sidelined by The Green Machine. Full list at the Wiki. Consider the same for Rings, and Belts, though some flat bonuses, like Key to the City and Andruil's, are also excellent for much of the game. Notable amulets include the Spellward and Lifedrinker. Blood Mages may want to the Blood Ring, or Avernus' Robes (but note that Avernus rewards you in DA2 for not stripping his not-dead body), or the Sash of Forbidden Secrets. Boots aren't anything to get excited about in Origins. Must be the limited trade with Orlais. And that brings us to Robes, which are hard. They aren't hard in terms of attributes - the Tevinter Robes, Trevinter Mage's Robes, Archon Robes, and Reaper's all stand out. But they're all ugly. Like, back-of-Elton John's-closet ugly. Female mages can get away with more of them, though the Tevinter Robes will earn stares. The First Enchanter's Robes are safer, if dull, as are the DLC Vestments of the Seer, my favorite choice, since I play nice with Avernus. So how about hats? They're all awful. Imagine going to school/work/a minimum-security prison while looking like that poor sod from the Mage's Collective. Consider the No-Helmet Hack (and turn it off when doing the quest for the Legion of the Dead set). 1) Don't worry: any build will work. 2) Put points in Magic. I hear the Blood Mages out there yelling to increase Constitution. Blood Mages yell a lot. That's true, and you may well want to concentrate on Con once you have enough points in Magic for your selected spells. It's also true that mana benefits from Willpower and that some mages like to boost their Strength to 20 to wear the Helm of Honnleath. There are enough attribute points for all of this; you can easily boost Magic to 40 and then do the same for Con. The main reason to emphasize Magic, in addition to increasing spell effectiveness and availability, is that while its easy to find gear with bonuses to Con and especially Willpower, Magic-boosting gear is limited. Your staff, and a few belts and rings can do so, but much of your Magic rating comes from attribute assignment. If you prefer to favor another attribute, fine: see rule 1). Next: Spells! What's a mage without spells? A guy or gal wearing a bathrobe and traffic cone. Edited by CBGB, 24 November 2011 - 01:06 AM. This guide assumes you or your party member are playing a caster, meaning that you activate spells during a battle, preferably without enemies whacking you in the face. If you find yourself always buffeted by uncontrolled melee attackers, you'll want either to the above listed Guide to Arcane Warriors or turn up the brightness on your monitor. In general, it helps your party to have two or three crowd controls and two or three single-target controls. Taunt, courtesy of your tank, can count as a crowd control of sorts, and single-target controls can come with paralysis runes, traps, and certain poisons. Don't like paralysis, traps, or poisons? Fine; I rarely use them, as I play mage-heavy parties. Don't want a tank? Fine; you can get by without one. But your need for other controls then increases, so bear that in mind when reading the highly dubious ratings I've assigned. This line adds significantly to staff damage, worth considering for any party member who makes frequent use of the default attack (my builds of Wynne often fit this category, as I give her few active abilities beyond healing), and close-combat mages will want Arcane Shield. Even otherwise, the line is worth considering. Arcane Mastery's +5 spellpower equals nearly two levels of attribute points in Magic, a bonus outdone only with the new spells from Awakening. Arcane Bolt (required. 5/5 if you're a glass-half-full person, 1/5 if you hate being told what to do.) A decent damage dealer, and, along with Winter's Grasp, my most frequent single-target attack. Arcane Shield 4/5 if you use it; not essential for casters (as opposed to Arcane Warriors). Gains utility even for casters in Awakening, as discuseed in that section. Small fatigue cost. Staff Focus 4/5, respectable damage boost. I won't typically list combat numbers here, since those can be found in the Wiki, but a 33% increase helps for a frequently used ability. Arcane Mastery 4/5 Why not 5/5? If this were second in the line, fine. Whether it's worth three slots for a caster is up to you. Casters will want at least Fire or Cold from here, possibly both. The other two branches depend on playstyle, as I'll note. Flame Blast 5/5. Highest damage cone. Good synergy with Cone of Cold, as it allows damage to the same targets held. Flaming Weapons 4/5 Best of the weapons spells for general use, but not essential. Fireball 5/5 Great opener, remains useful throughout the game. Inferno 4/5 High damage. Whether the big AoE spells are useful to you depends on play style. I tend not to use them, finding I can generally move faster without them, but they offer a chance for safe, tactical attacks, and many players love them. Inferno (and other large AoE spells) can be stacked in an area by Quick-Saving and reloading. Rock Armor 2/5 A helpful addition for a mage in melee, but not so helpful that you, caster/not-AW, should be getting hit. That's Alistair's job. Stonefist 2/5 Fun for shattering, but that can be done without Talents. Earthquake 1/5 Immunity to the effect is common enough to reduce its utility. Weak damage. Petrify 3/5 Not a bad spell, but no better than other holds available earlier, in better lines. Great crowd control with a bit of damage. Winter's Grasp 5/5 While the freeze effect sees more resistance in later stages, the damage remains good, and at early levels, it's outstanding. Frost Weapons 3/5 Flaming Weapons is better except for the fire-resistant. Use this against demons and mattresses. Cone of Cold 5/5 The stun effect works on bosses better than any other hold (save the Paralysis Explosion combo) and it recharges quickly. Those of you returning from before Patch 1.02 will see its duration has been shortened, but the spell remains great. Blizzard 4/5 - As with Inferno, the utility of any big AoE spell depends on play style, but if you like it, this offers a good balance of control and damage. This line is about the Storm of the Century combo. Yes, the spells are rarely resisted and they drain mana, but the damage is lower than the other lines. Lightning 2/5 If you get the line, this is a decent single-target attack while Winter's Grasp recharges (same damage as Arcane Bolt, shorter range). Shock 2/5 Weakest of the cone spells, but the Cone of Cold hold lasts long enough that you can cast Flame Blast, then Shock. Tempest 3/5 Rating this is hard, since its appeal is really in the Storm of the Century combo. It is worth it? If you like big AoE spells, sure. It does great damage and goes through walls, and you can move your party to safety while it wreaks havoc. But you can move as fast or faster with spells cast up close. Chain Lightining 1/5 Takes 2 seconds to cast, doesn't scale, and the damage is absorbed by armor. 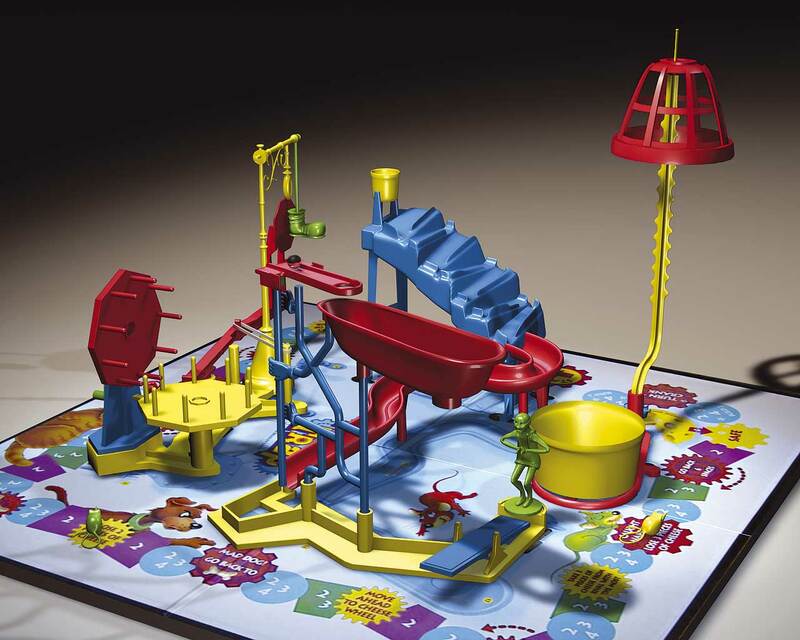 Looks cool, until you try it, the Mouse Trap Game of spells. Hard to rate this one, as it has both dogs and gems. Heal 5/5 Useful even if you go no further. Can be used to save NPC's, often helpful to have on more than one mage. Rejuvenate 3/5 Decent, but often unnecessary, or when needed, insufficient. Regeneration 3/5 Over-time delivery makes this less useful than Heal, but it is more efficient. Haste 4/5 It isn't perfect. It lowers melee attack value and ranged attack rate. Cost the equivalent of +3 regen to maintain. Leave it for Wynne. Then leave Wynne. Again, play styles vary, as do needs. In my most recent playthrough, I used Glyphs nearly every battle for the first two-thirds of the game, then rarely as I built other spells. If you want them, they sure work. Glyph of... Paralysis 5/5 Works often, easier to obtain than Paralyze (though slower to recharge). Finishes the Paralysis Explosion combo, which is an instant-cast, no-resist, AoE hold. ...Warding 4/5 Useful when under ranged fire or bunched. ...Repulsion 5/5 Great in doorways and other choke points. Place this first for Paralysis Explosion, or skip the combo and let this last and last. ...Neutralization 4/5 A poor man's Mana Clash, if you want to skip the Mana line. Doesn't damage, and it can drain you if you walk into it, but it effectively muzzles enemy mages. Spell Wisp 2/5 Takes 30 mana to sustain and gives a +6 bonus to spellpower. So allocate 6 points on magic and spent your talent point elsewhere. Yes, yes, you can chain buff to double its effectiveness, but really, don't you have darkspawn to kill? Grease 2/5 Other AoEs offer damage or full holds. Spellbloom 2/5 As with Rejuvenate, it can help, but it often falls under either unnecessary or insufficient. Stinging Swarm 3/5 Fun, and a fair mage-hassler, but underwhelming damage. Dispel Magic 3/5 Best of the line, but obviated by Templars. You do like Templars, yes? Anti-Magic Ward 1/5 Ten seconds? Anti-Magic Burst 2/5. The Templar equivalent, too late. I often skip this, which is all about Mana Clash, to make room elswhere, but most players love the line. Spell Might is a useful addition, but not a game-changer. Mana Cleanse 1/5 Are we there yet? Mana Clash 5/5 With this, you can hit a mage hard enough to make his ancestors wince. Is it worth it? Up to you. The Bomb Branch 4/5Playstyle preference again. I love this line. Even on Hard, I use Walking Bomb like crazy; my guys can take it. On Nightmare, the friendly fire damage makes me more cautious, but it's still great against archers. Walking Bomb 5/5 You can get just this, if you like. Explosion aside, also a fine boss-damage spell. Death Syphon 3/5 Limited effect, but useful. Virulent Walking Bomb 4/5 Dedicated bombers will want this. Good fun. Dangerous to your party on Hard and Nightmare. Animate Dead 4/5 See the guide and notes in the very first post above. This is a highly useful spell, even without Spell Might, if you like having a party pet, but not everyone does. If you read a spell guide written prior to Patch 1.02, it'll gush about this line. Since then, Force Field and especially Crushing Prison lost a lot of utility, though they still have their places. Force Field 3/5 A tank under Force Field no longer holds threat, but at least he or she is safe, and the spell works with fair frequency on bosses. Telekinetic Weapons 2/5 Good against armor. Turn it on for golems. Crushing Prison 3/5 Now more of a damage spell with a hold than the reverse. Often resisted. Weakness 2/5 Decent, but like the rest of this line, outclassed by alternatives. Paralyze 3/5 A fine spell, but outdone by Glyph of Paralysis, except in cooldown time. Often resisted. Miasma 2/5 Useful for an Arcane Warrior, however. Mass Paralysis 2/5 Slow cast, short life. Another playstyle preference. If you don't like them, I won't tell. Vulnerability 5/5 Use it early and often. Affliction 4/5 Great for clusters. Misdirection 4/5 An excellent defensive hex, even against bosses. Death Hex 4/5 Situational, and probably less useful than the first three, but still decent. The strength of this rating comes from the high utility of Sleep. Disorient 1/5 Take it off your quickbar before someone sees it. Horror 4/5 Fine on its own, great damage with Sleep. Sleep 5/5 A great opener. High effectiveness, good area, fast cast. Waking Nightmare 3/5 Not bad but entirely optional, either for topping Sleep or on its own. Much smaller area of effect than Sleep. Drain Life 4/5 Good damage, especially with Vulnerability Hex, and a fine place to put a spare point. Death Magic 3/5 As with Death Syphon, limited effect but still useful. Curse of Mortality 2/5 Yes, it hurts when its on you, but the effect is slow, and you kill faster than your enemies, don't you? Death Cloud 3/5 Not bad, but not worth the line unless you want the Entropic Death combo. Dark Sustanance (required, and great!). Time-consuming, but welcome. Bloody Grasp (required) Good single-target damage, great against darkspawn. Alistair would be happy to help you get rid of that pesky icon. Arcane Warrior: get the whole line, unless choosing the first only for the armor. Shapeshifter: see the first post. If going this way, you need the whole line. Spirit Healer: Group Heal is so good and so mana-efficient, it's perfectly viable to get just that first spell, and I often do. Utility builds, like I choose for Wynne, might want the full line. Blood Mage: get the first three. The fourth is fine if you want a pet mixed with control, but I find I either don't want one or prefer the consistency of Animate Dead. Blood Wound, the third spell, is arguably the most effective spell in Origins: rarely resisted, fast-cast, large area, good damage, low cost. Don't make Jowan angry. Edited by CBGB, 24 November 2011 - 02:59 AM. There aren't many guides to these for three reasons: Awakening came out a year after DAO and that's half a lifetime in game terms, respec'ing is easy (thanks to Herren's Manual of Focus), and the spells are so blindingly powerful that the choices matter less than they do in the original campaign. By the time you start, you can already kill everything you encounter, and by the time you end, you can... kill everything even faster. Still, there are a few. Aura's nuking guide is quite good. I disagree on some choices - I like the Death line, Fire line, and Heal but I don't like the Earth line or Summoning line, and I doubt the worth of Crushing Prison - but it's still useful. Her thoughts on Keeper and Battlemage for AoE are spot-on. For Anders and Velanna, Bartlebyfinch has a good analysis. or this favoring the Keeper specialization. Useful for any mage build. [*]Fade Shield If you use Arcane Shield often, 5/5: this adds 15% dodge and spell resistance, for relatively little fatigue. If you don't use Arcane Shield, this is of little value, though it gives enough of a boost to make situational use possible. Note that even caster builds may find themselves running into mobs more than usual, thanks the the excellent Hand of Winter and Keeper spells, so shields expand their value. [*]Elemental Mastery 3/5 Adds 15% element damage. The cap in Awakening has been moved from 30% to 50%. 5/5 for distance casters. [*]Attunement 5/5 +10 Magic & Will, +2 Mana regen. Far exceeds Arcane Mastery. Decent spells, but high mana cost and outclassed by the alternatives. [*]Repulsion Field 2/5 Drains 20 mana per knockback, which as the Wiki notes, comes in pulses that won't stop a stealthed attack. Can't be used with Arcane Field. [*]Invigorate 3/5 - 20% Fatigue penalty cancelled by 20% bonus. Mana Regen penalty of 10%. 2 mages with this provide each other with a nice fatigue reduction, but the fatigue reduction cap remains at -25%. [*]Arcane Field 3/5 Fine damage (roughly 60 Spirit dmg at 85 Spellpower. Efficient at 15 mana per). But the pulse is slow and distance casters get less from it than Arcane Warriors. Drains mana even when using Blood Magic. The first three spells are great for any mage, casters and Arcane Warriors alike. [*]Draining Aura 3/5. 4/5 for an Arcane Warrior, 3/5 for a close-combat caster or a Keeper with One with Nature), 2/5 for a distance caster. Popular, and high damage, but it drains a significant 30 mana per target with each pulse, even with Blood Magic on. Does roughly 80 Spirit Damage per 90 Spellpower every 5 secs. [*]Hand of Winter 5/5 like Cone of Cold, with a burst pattern that does more damage and only to enemies. [*]Stoic 5/5 50% of damage taken becomes mana. All passive bonuses are nice, so in evaluating them, it's not enough to simply say 'Everyone loves more health/mana/damage/cake/whatever.' The degree of the bonus matters, and this is significant. [*]Elemental Chaos4/5. Powerful, if costly. 10% Fatigue, 140 upkeep, -20 Mana Regen means a heavy cost. Does 40 damage/ 2 sec tick at 120 Spellpower. Again, a great spell for a close-combat mage or Arcane Warrior, less so for a distance caster. Roughly the same DoT as Draining Aura and a bit more mana efficient, but for a single tick, Draining Aura does more. [*]One With Nature 3/5. Not much on its own - 15ish nature damage at 80 spellpower - but enables the excellent other abilities. [*]Thornblades 5/5 Great damage (170ish at 80 spellpower) goes through armor, useful knockback. [*]Replenishment4/5, 5/5 with Blood Magic, which gets 90% of the bonus. The 20% return on Keeper damage is significant, thanks to the huge damage of the other Keeper spells, and the Health regen of +20 takes you up to the cap. Compared with Death Magic, the health returned is lower, but the regen rate is a great boost. A Highly Unscientific Field Test Skip to the end if you just want the conclusion. I cleared the dungeon room in Vigil's Keep a few times each with the various new Awakening spells, then did the same in a later room of Childer Grubs. Using Repulsion Field and Draining Aura emptied my mana before either fight was done. That was true of Repulsion Field and two casts of Hand of Winter (but no Draining Aura), but simply two casts of HoW alone was enough to kill the skellys, leaving half my mana (with Time Spiral to speed things up). Using Draining Aura and Hand of Winter (but not Repulsion Field) killed all the skellys, with very little mana remaining. 5 seconds. Using Draining Aura against the Grubs, I ran out of mana before the fight was done, whether or not I used Spell Might. I killed all the Grubs using just Elemental Chaos. At roughly 100 spellpower, Elemental Chaos did about 35 pts every 2 secs, while Draining Aura did roughly 90 every 5: roughly the same. However, Elemental Chaos left me with about a quarter of my mana left. With no sustainables on, I cleared the room in half a dozen casts, using Cone of Cold, Walking Bomb, Hand of Winter, and Flame Blast, plus two staff attacks. Three-quarters of my mana left, 15 seconds. With Elemental Mastery on and the same approach, it took 10 seconds - saving the staff attacks - and used half my mana. With One With Nature, Thornblades, and Hand of Winter, I cleared the room in 5 seconds with half my mana left. One with Nature then Nature's Vengeance does even more damage than Thornblades + HoW, for slightly less mana. This is hardly a conclusive study. The effects depend with gear, level, and above all, type of enemy, but it is enough to see differences in the spells, and I expect that even in other circumstances, Repulsion Field won't prove mana-efficient, and that Draining Aura and Elemental Mastery will both boost damage and speed fights against simple mobs, but they require an eye on mana for sustained fights. Elemental Chaos is more forgiving for mana management, and Hand of Winter is a great spell. Edited by CBGB, 30 November 2011 - 03:27 AM. I actually don't need this space, added at the whim of the Forum, and I can't delete it. I'll include something worth your time. Maybe a limerick. I am busy with my 3th playtrough, now as a mage. I like rogue better but still. I just got blood magic and I noticed every mode spell such as haste etc drains your mana, not your health. For this reason I just activate every boost I can get, since I don't use mana anyways. If I need to heal I just leech a party member and heal him back. Although the benefits are small, it adds up. I just got blood magic and I noticed every mode spell such as haste etc drains your mana, not your health. For this reason I just activate every boost I can get, since I don't use mana anyways. Good point. I've added a note about that to the Awakening spell descriptions, above. If you use Blood Magic late in a fight, to continue casting, then this can be a drawback to such spells, as they drain mana from your emptied pool. But if you use Blood Magic as Zeronic does, turning it on early and activating sustainables, then this is a desirable trait. Edited by CBGB, 30 November 2011 - 03:33 AM. I love this :] I'm a dedicated Mage player but I'm just too lazy and math resistant to really cut down and figure out the absolute worth/value and impact of the spell trees myself.